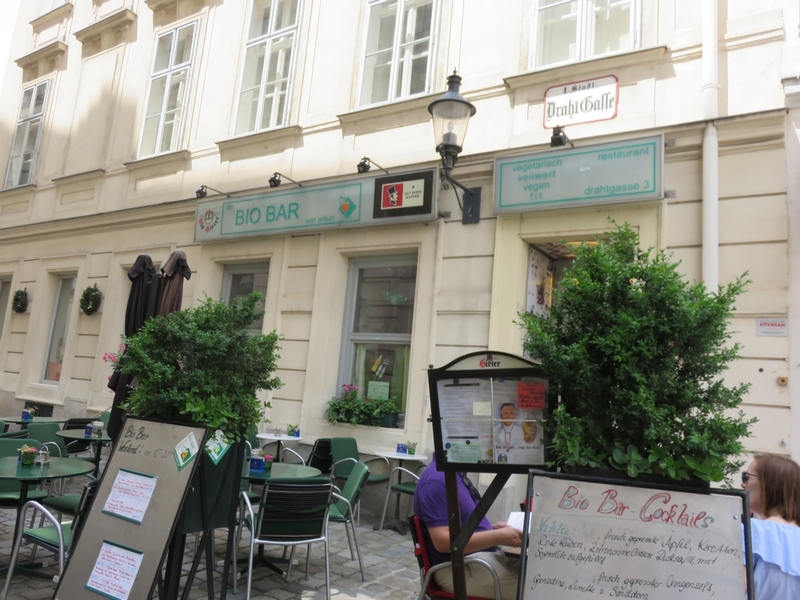 Restaurant review #88 – Bio bar von Antun is a vegetarian restaurant in the city center of Vienna (Austria). 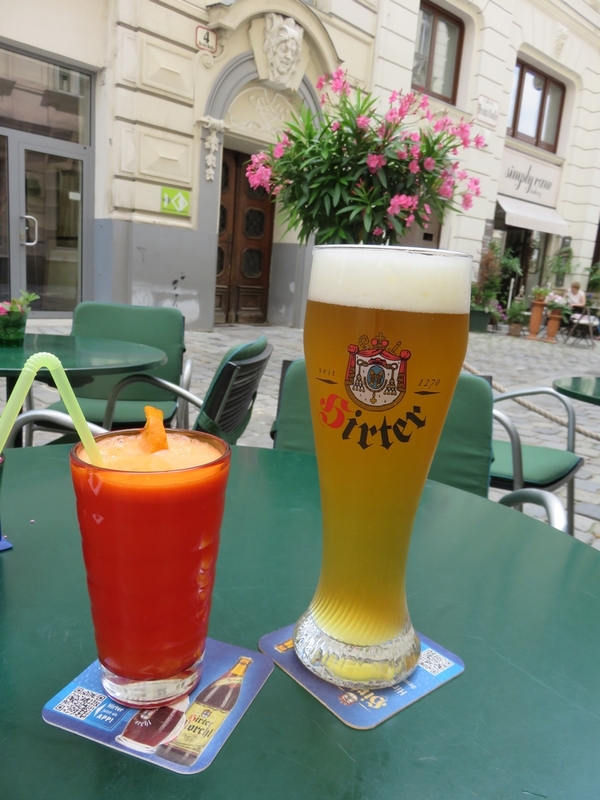 We were there for lunch this Summer (see other reviews from our trip to Vienna). 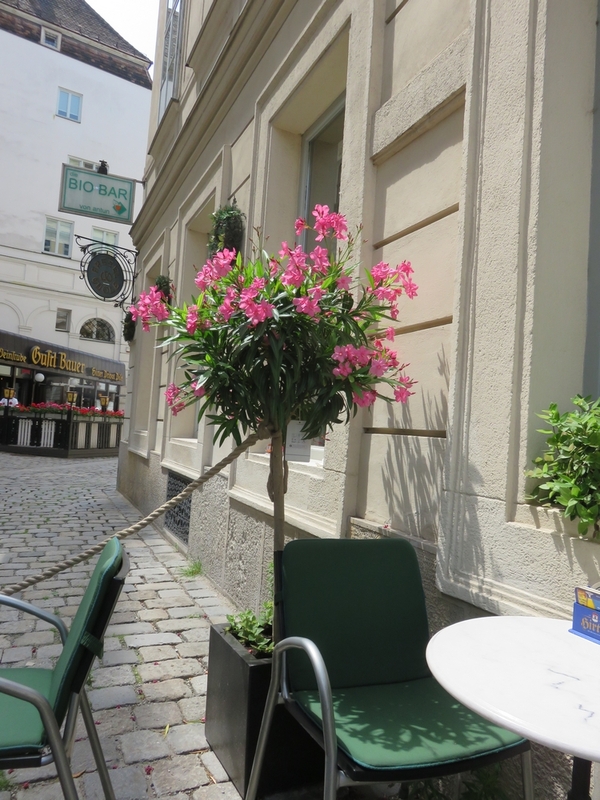 It was a beautiful sunny – but very hot – day, and we were pleased to see there is a large terrace in front of the restaurant (we managed to get a spot in the shade). 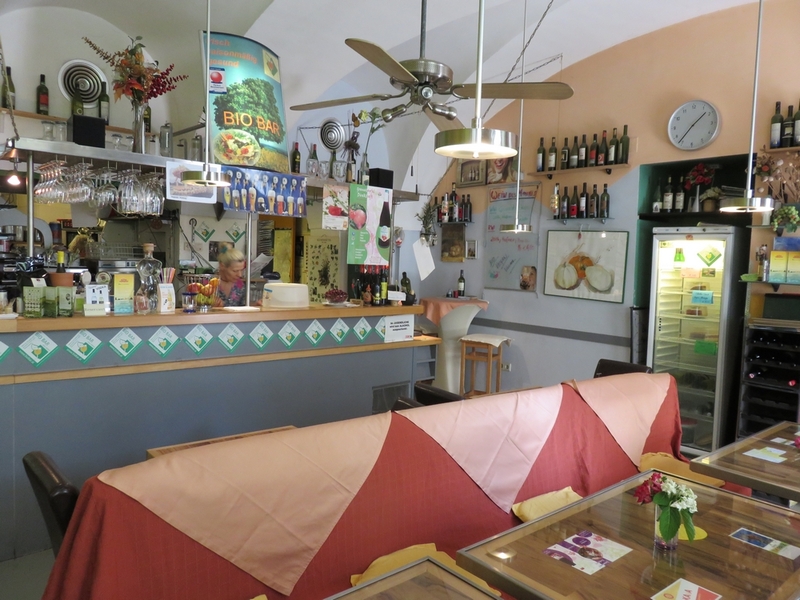 The restaurant is located in a no-traffic zone, and despite being really close to the historic hotspots of Vienna, it was pleasantly quiet, with only a few passers by. 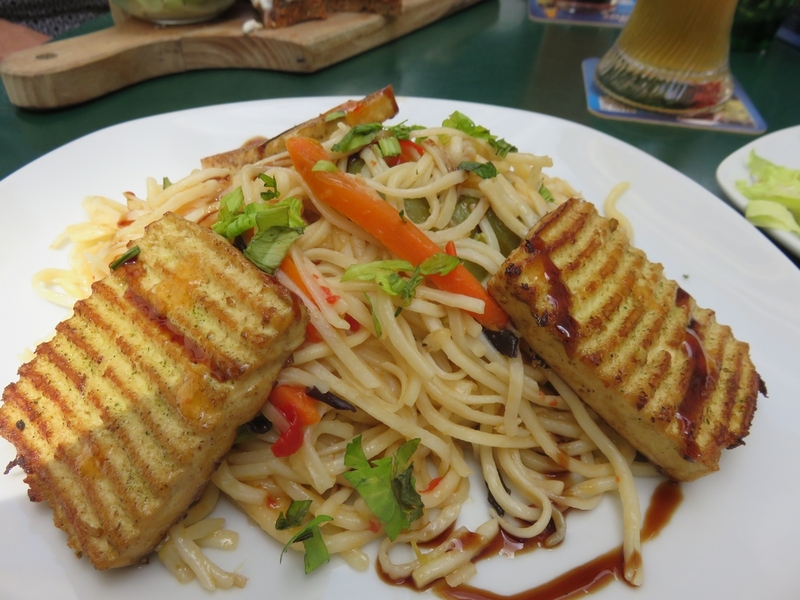 It is a vegetarian restaurant, but vegan options are clearly labelled on the menu card. 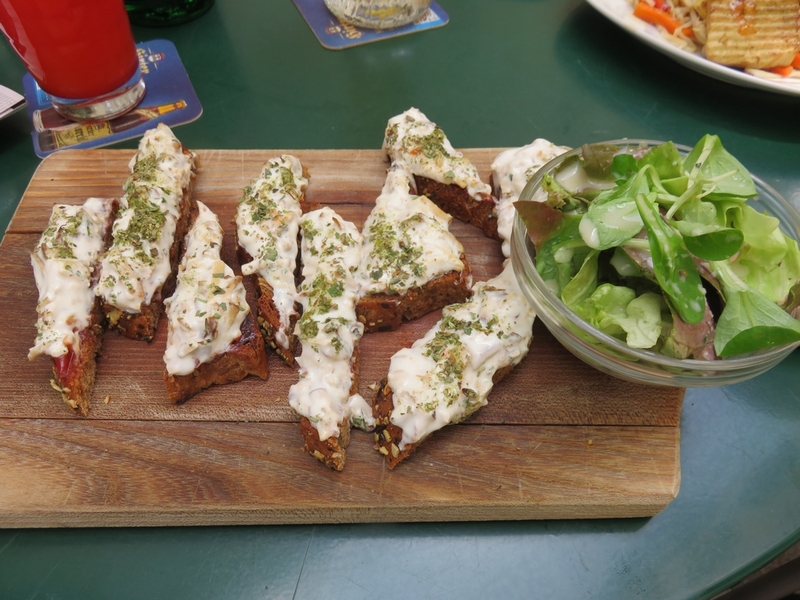 I didn’t have a large appetite, so only took a starter: Bruschetta mit Paradeis-Sauce, Räucher-Tofu, Knoblauch und italienischen Kräutern, garniert (8,90€). 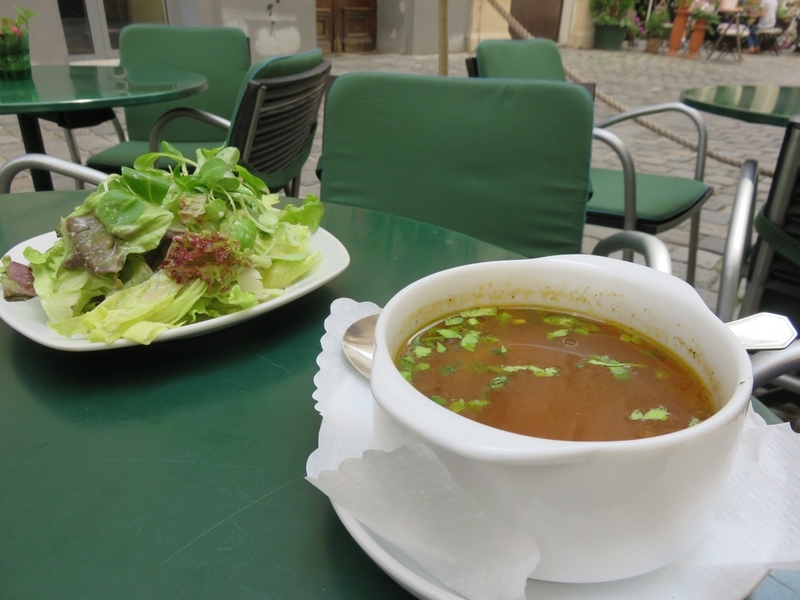 Jim had soup, and a main dish with salad on the side (14,90€). The lady who served us was friendly, we didn’t have to wait long to have our order taken and food followed quickly. It was very nice! And reasonably priced. Comfort outside was good, great that the chairs have double cushions. The interior looked a bit outdated and messy, there seemed to be lots of stuff stuff everywhere. Toilet was clean and spacious. Overall: we had a lovely, relaxed, light lunch! Update: August 2017: closed. Apparently there’s now a non-vegetarian restaurant at this location. And right across from Biobar von Antun, in the same street is a vegan raw bakery! 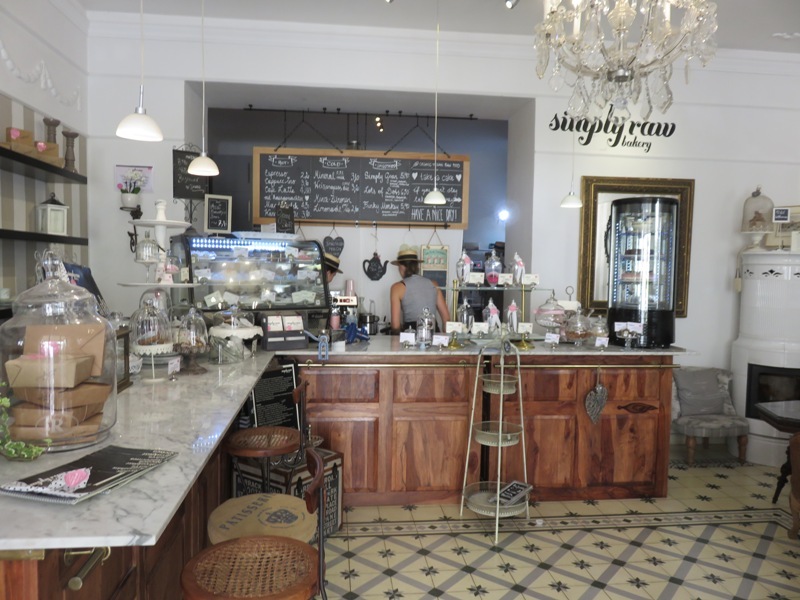 Simply raw Bakery in the same street! Previous PostVegan caviar on toast!